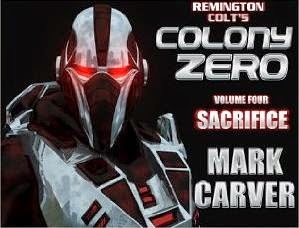 Homepage for Author Mark Carver: COLONY ZERO - VOLUME FOUR IS HERE! COLONY ZERO - VOLUME FOUR IS HERE! Head over to Amazon.com to grab the latest volume of the Colony Zero saga, a thoroughly unique multi-author sci-fi epic from Helping Hands Press!